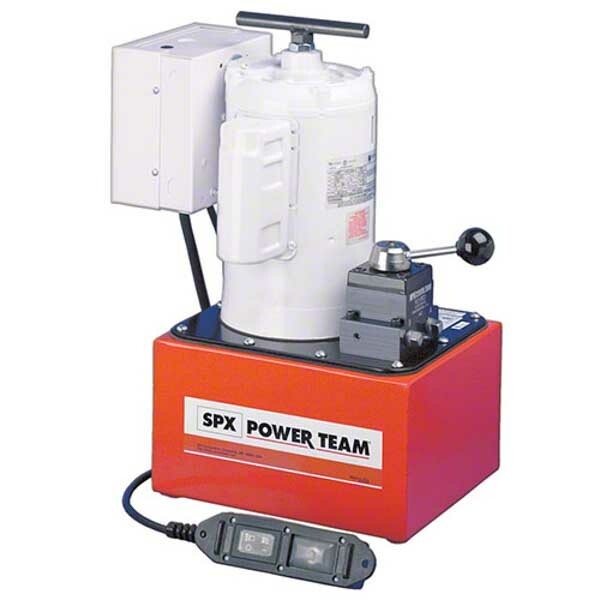 Electric over hydraulic pumps in the Power Team range service a variety of heavy-duty maintenance, construction and production applications, ranging from the PE17 Series (up to 55 tons; starts under full load) to the PE400 Series (for single or multiple cylinder applications, up to 1000 tons). SGS can "Assemble to Order" pumps with special seals, voltages, valves, relief valve settings, etc. 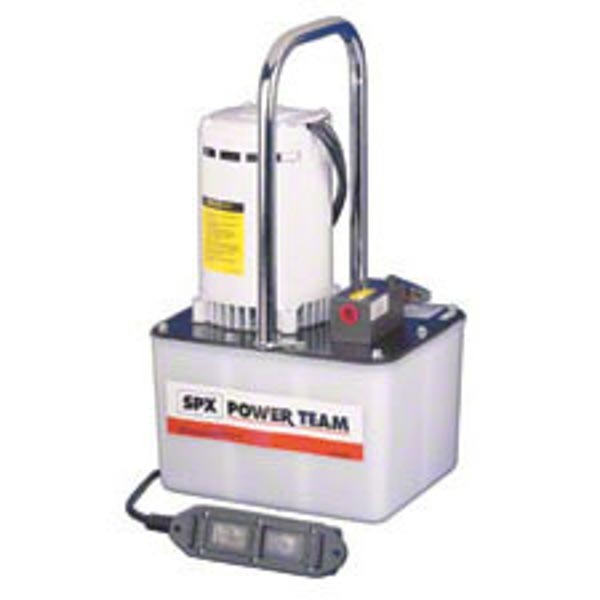 This series of 2-speed electric pump is ideal for single and double acting cylinders up to 55 ton. 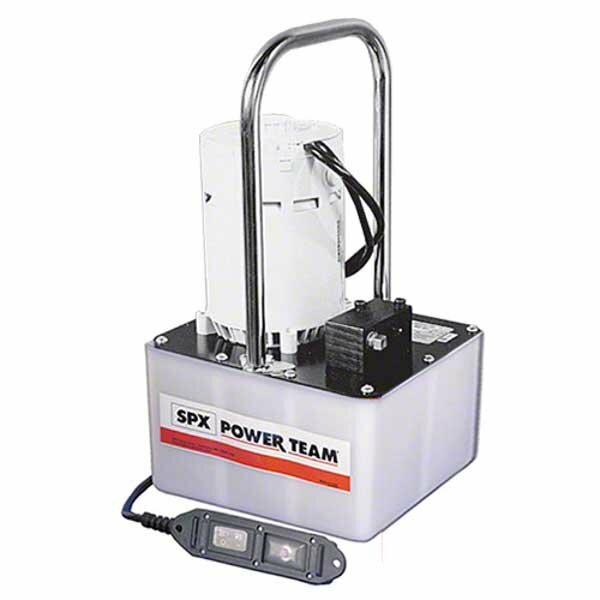 The Vanguard series is an industrial standard pump for applications including heavy construction & concrete stressing. A low speed, high torque pump series with 1.6 litres of available oil for operating up to 400 ton hydraulic equipment. Two speed high tonnage hydraulic pumps with a capacity of up to 1000 tons - 16l/min at 15 bar. 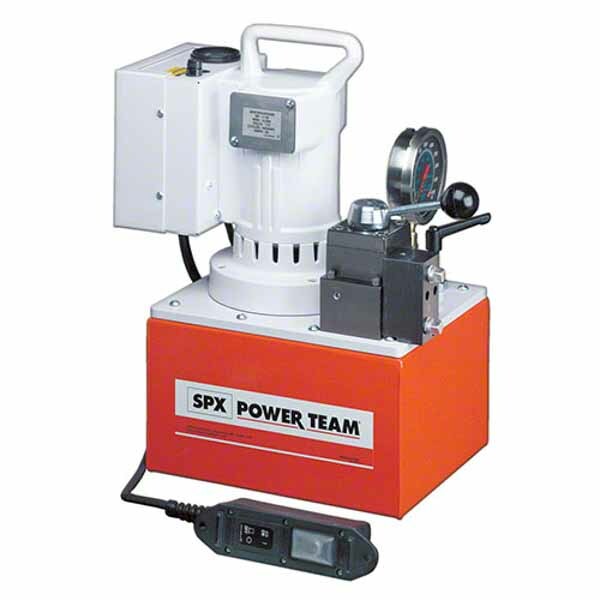 The range of electric over hydraulic pumps available at SGS Engineering are excellent for servicing a number of heavy duty maintenance, construction and production purposes. 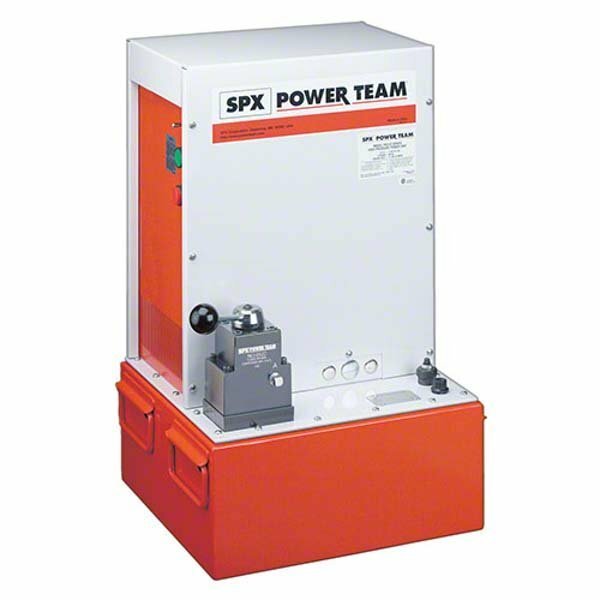 Whether you need a hydraulic electric pump for a professional or personal project, a wide variety are for sale at affordable prices. Electric over hydraulic pumps that can be used with cylinders of differing tonnage, some up to 400 ton for example, can all be found in our range. 2-speed and low speed options are available too, with some options better for production and roof applications, while others are more appropriate for concrete stressing and other heavy construction uses. Assemble to order pumps can also be ordered from SGS Engineering. A hydraulic electric pump with bespoke seals, voltages, valves, relief valve settings and more can be made to order to suit all your specific requirements.